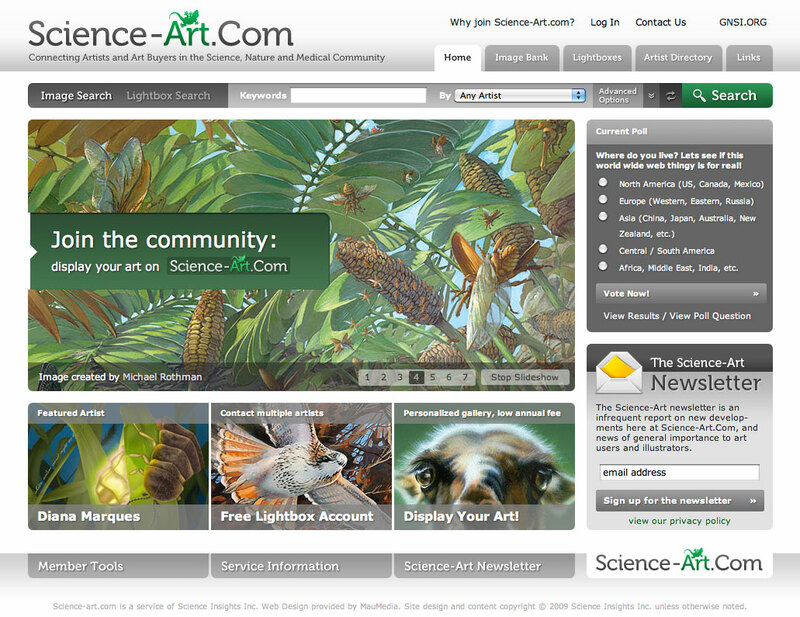 Members of GNSI are eligible for a substantial discount on the annual membership fee for the website Science-art.com, a portfolio website dedicated to science illustration. This site is a separate enterprise from GNSI, and a go-to resource for art directors, publishers, and scientists. It provides artists with a convenient platform to showcase their work, without the cost or hassle of creating an individual web portfolio. Free trial portfolio and lightbox.